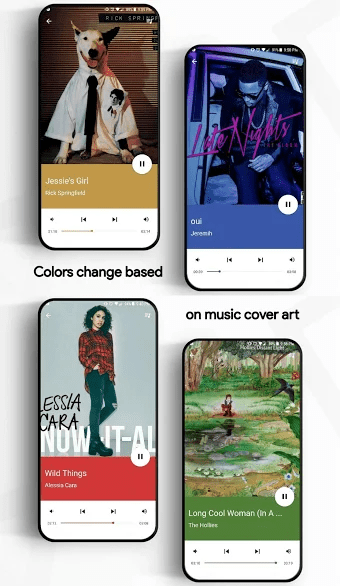 5 BEST KLWP Themes of 2019 - Time to Customize your Android! One of the best things about Android is that you can customize every part of it. This is something that the iOS users surely miss since iOS doesn’t offer any such functionality. Previously, we had the Zooper Widgets to get those beautiful home screen widgets, but now, we have KLWP and KWGT or the Kustom Live Wallpaper and Kustom Widget Maker. There are a ton of KLWP Themes present on the Google Play Store that let you theme the home screen of the device. For those of you who may not know, KLWP (Kustom Live Wallpapers) is an intuitive app which lets you embed a whole UI inside a live wallpaper. Through KLWP, you can add text, widgets, animations and many other elements to your home screen which you simply cannot do with a widget or a launcher. In the Pro version of KLWP, one can also import presets from other developers and modify them. In this article, let’s talk about the 5 Best KLWP Themes of 2019 that you should try. Well, the name says it all. 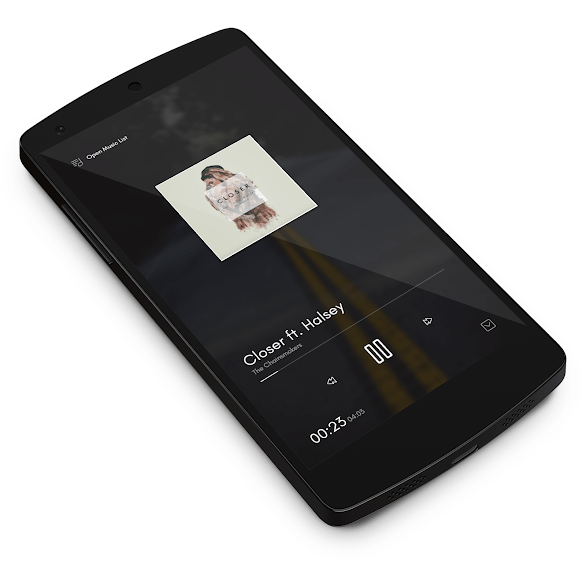 Minimalist Change is a KLWP Theme that is for those who love minimalist skins or themes. On the home page, you will find just the Date and Time, along with the button for Favourite Apps. You won’t find a single app icon on the homepage which makes the homepage clean and minimal. Tapping on the Favourite Apps button will show up all the favorite apps that you have selected, and there are clean animations while doing anything with this theme applied. On the top left, there is a plus button. Upon tapping, you will get options like Weather, Menu, Settings, News and Music. Here also, selecting any of the options results in a clean animation that is surely pleasing to the eyes. CHECK OUT: Ad Blocker for Android – 6 BEST AdBlockers for Android: GOODBYE ADS! It is yet another minimal and clean theme for KLWP, but this one focuses on the Google Assistant and Google Search. On the front page, you have the minimal date and time and below that is the Google Assitant Button. On tapping this button, you get a beautiful animation that opens the Google Assistant. Below the Google Assistant button, there are some App icons and below them is the Google Search Bar. Swiping from the left, you get the Google Now page that isn’t your usual Google Now page that you get on stock Pixel Launcher. This one is different in the sense that you get Google Apps with icons on the top, some News articles below that and some more most used apps below that. You can check any other news or article by simply tapping on the ‘Show Next Feed’ button. Again, if you swipe from the left, you get the settings from where you can change a lot of stuff like enabling the Dark Theme, Changing the wallpaper, Enabling or disabling the Nav bar and more. Overall, it is a pretty light and clean KLWP Theme that you can try. This one is probably one of the unique KLWP Themes out there on the Play Store. It doesn’t focus on having a clean design with just a couple of options and icons on the front page. In fact, this theme focuses on filling each space on the front page with an element. On the front page, you have the search bar, the clock, and other options like ‘Home,’ ‘Settings,’ ‘Social’ etc. on top. Below that is the date with some more app icons below that. Then, there are some minimal cards for apps like Music, Calendar, Camera, Weather, News, Web, etc. that you can swipe from right to left. If you tap on the ‘Social’ option on the top, you get a beautiful animation and a new page that shows all the Social Media Apps like Facebook, Instagram, Twitter, etc. Tapping on the ‘Settings’ options will show up all the Theme settings like Theme color, Dark Theme Navigation Bar, Notifications Color, etc. So yes, this is a pretty unique KLWP Theme and probably one of the Best KLWP Themes out there. If you think that the themes above are a bit complicated to set up, then here is a one-page theme for you. The Sleek Home for KLWP is a theme that doesn’t come with a lot of pages and cards but has a nice and clean look to it. On the front page, you have the Google bar on the top, and the rest of the options are placed on the dock. So, there is the clock, with the date, the Alarm information and the battery remaining. Below that are some app icons like phone, messaging, drawer, etc. If you tap on the plus button, you get a clean animation that shows the options like Agenda, Weather, Music, Profile, etc. Tapping on each option opens a different thing. So, tapping on Agenda will open the Calendar along with the things that you have to do, tapping on Music opens the music player and so on. The Profile Tab is pretty interesting as it contains not only the profile pic or yours but also the applications that you use, along with some quick settings like WiFi, Bluetooth, etc. and apps like Camera, Gallery, Maps, etc. Check this theme out. This is the only theme on this list of Best KLWP Themes for 2018 that doesn’t feature any app icon on the front page. The Front page is super clean with simply the date and time, along with the information about weather. Below that is a button for the App Drawer, and that’s it. There is a plus icon on the right side of the button, and on tapping that, you get the shortcuts like the camera, email, messages, etc. On tapping the arrow button on the right side of the plus icon, you get another small page that shows the news, the calendar, the weather and the music tabs. If you swipe from the left, you get your Profile with the picture, along with the apps like G+, Instagram, Twitter, Whatsapp, Facebook, etc. and the Google Search Bar. If you tap on the downward arrow button on the right side of your name, then you get the Theme Settings like the color, Dark Theme, Navigation Bar, etc. along with the quick settings like WiFi, Bluetooth, etc. Well, There are a lot of minimal and easy to use KLWP Themes on the Google Play Store so definitely let us know in the comments section which one do you like the most. We will be updating this list of Best KLWP Themes every month so definitely keep an eye on this article. If you have any suggestions, you can use the comments section below or our ‘Contact Us’ page. Stay DroidHolic! What’s the theme in the cover image?